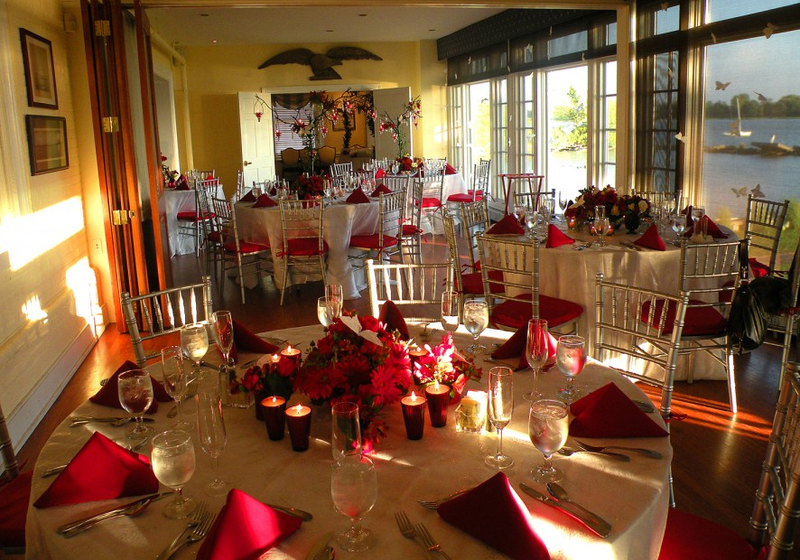 Corinthian Yacht Club of Cape May Wedding Venue offers a gorgeous waterfront facility for your wedding. Located on the edge of the harbor, you will find two levels for gathering and celebrating. The lower level features two spacious and well-appointed reception rooms. You can use one for dining separately and the adjacent tastefully upscale “pub room” for cocktails. Both are connected to an outdoor covered and protected patio. Upstairs the open room has “Cape May ” lounge seating, an additional bar, and a gorgeous deck that overlooks the Cape May harbor.